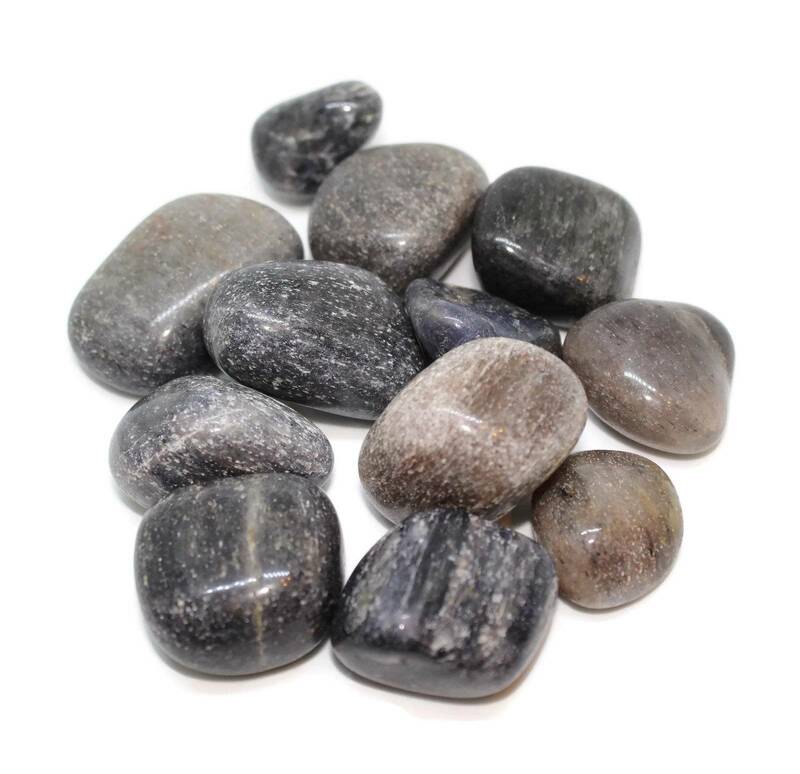 Medium sized pieces of tumbled Blue Aventurine, measuring approximately 20-30MM. Medium Tumbled Blue Aventurine pieces, typically measuring around 20-30MM in length, although some are slightly larger. These pieces mostly have a nice blue hue, with the stones well known glittery silver inclusions. They’d make excellent display stones in a bowl or a small vase, or a smaller fishtank. 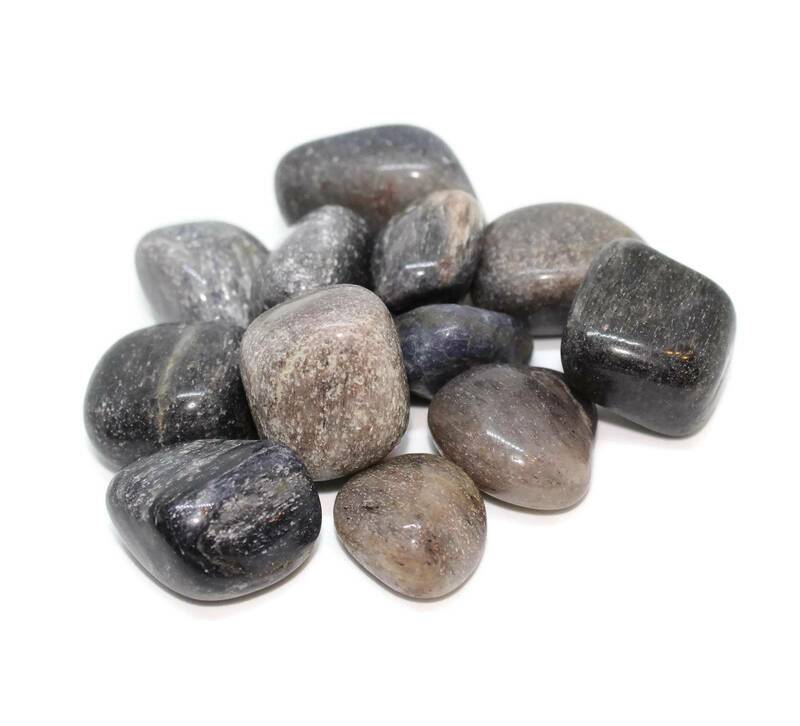 As a darker stone they do have a nice contrast with lighter tumblestones. 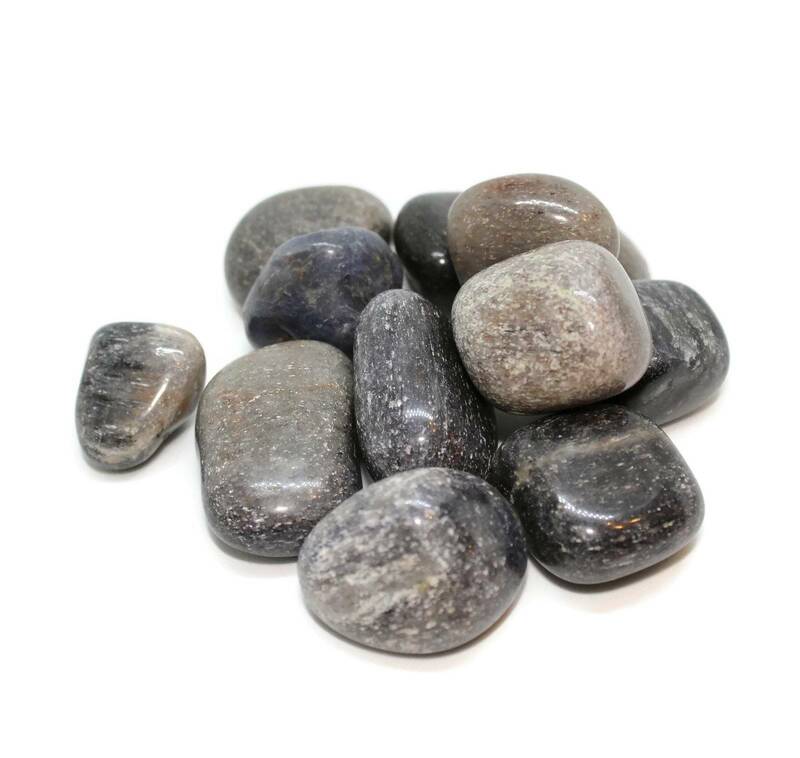 Perhaps it’d be interesting to make a display of all the Aventurine colours as a rainbow..
We sell a wide variety of Aventurine products, including other tumblestones in different sizes and grades, rough stones, carvings, polished stones, and more. Please see our main Aventurine section for more information.